Allout Adventures is ideally situated only 30 minutes from Newcastle city centre. Choose from our wide range of activities which we have available 7 days per week, all year round. Based at Slaley Hall Hotel near Hexham, we have use of over 1000 acres of countryside including vast woodland ideal for our exhilarating outdoor activities. Bring along your friends for a day out, birthday party, stag or hen party or perhaps you would like to get your staff out of the office for one of our ever popular corporate/teambuilding events which we can tailor to suit your individual needs and budget, ideal for staff moral or new teams. Whatever your outdoor activity needs, Allout Adventures can cater for you. 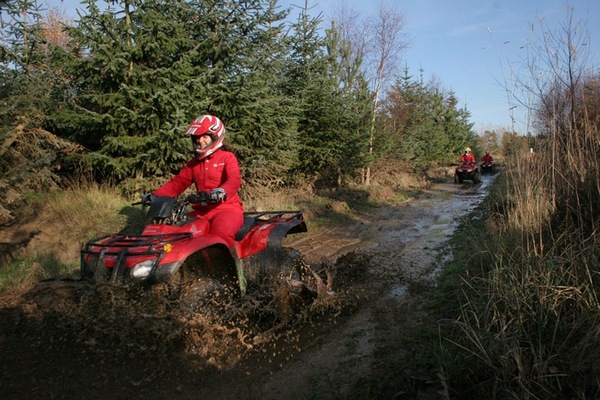 From testing your riding ability on our 10 mile Quad Enduro and perfecting your glide on our amazing Segway Safari, to smoking some clays on our Clay Pigeon Shoot and mastering the ancient art of Archery, you will be sure of an unforgettable day out with Allout Adventures. 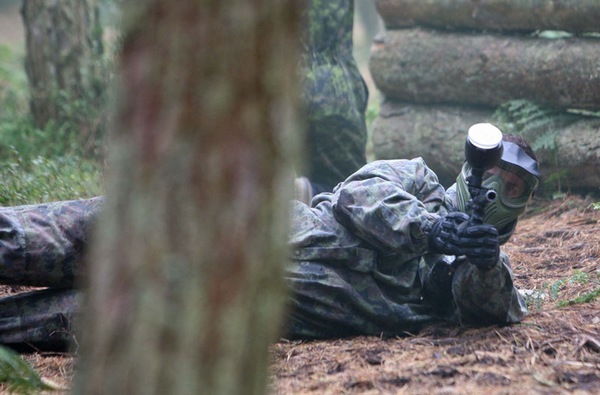 Our paintball arena in Hexham is the largest, most exciting paintball site in the Northeast. Our site is ideally situated at Slaley Hall Hotel which is only a short drive from Newcastle, Durham and Sunderland, making it ideal for stag and hen parties, birthday parties, schools and corporate clients who may also take advantage of Slaley Hall's outstanding facilities. 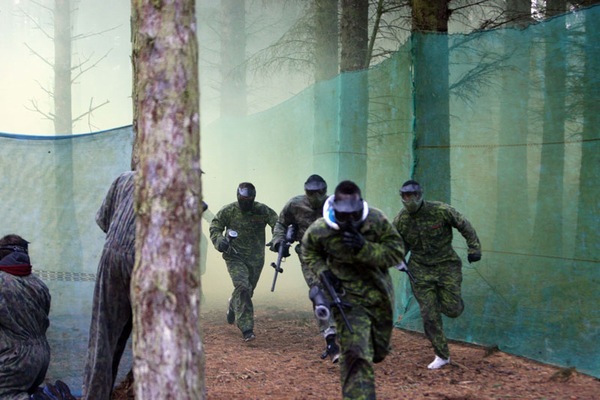 Why not take advantage of our mobile Paintball arena, available for paintballing games at your desired venue. HONDA TRX 250ES Quad Bikes! These 250cc tiptronic quads are fantastic fun to ride. 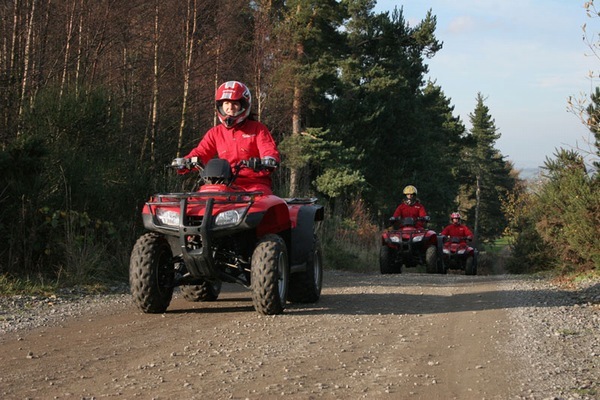 These new 2012 Honda TRX 250cc electric shift quad bikes are a fantastic new addition to our activities. With more torque than their predecessors, they have no problem charging their way around our trek! Making them much easier to negotiate around our ten mile quad course. Come and try our 10 mile enduro course led by one of our qualified instructors. We will go as fast as the slowest rider so no slouches on this ride! Riding a segway is an activity that has to be tried before you can understand how amazing it really is. 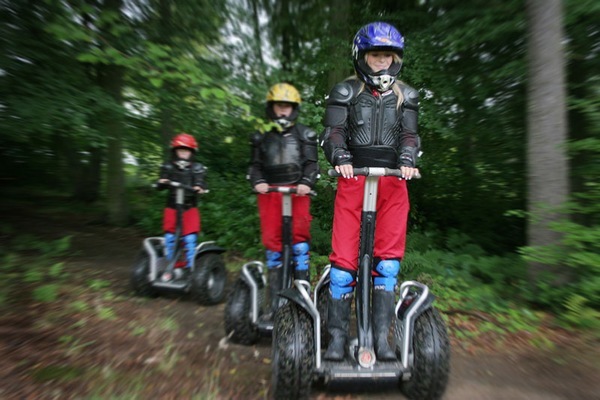 Experience the feeling of hovering above the ground at speed with complete control around our specialised track that will have you testing your Segway to the max! 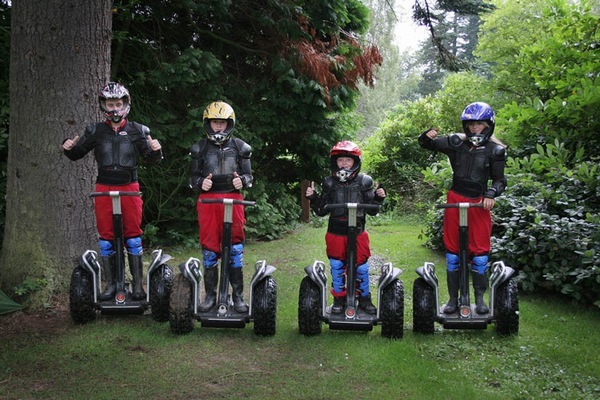 Segways are extremely Eco-friendly and have zero emissions! Great way to have some fun and save the environment! 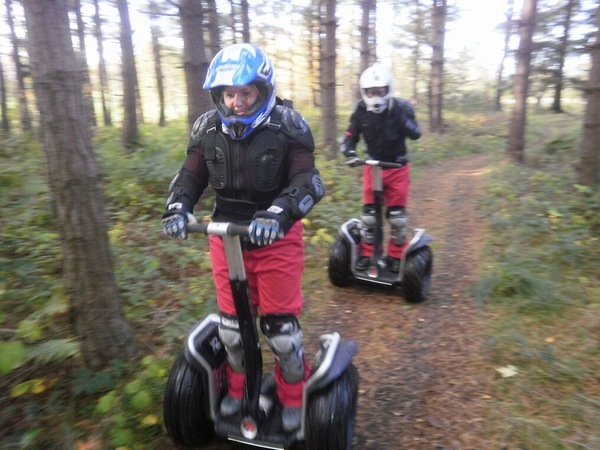 Your session will give you the opportunity to get to grips with the unique controls before setting off around the Segway Assault Course. 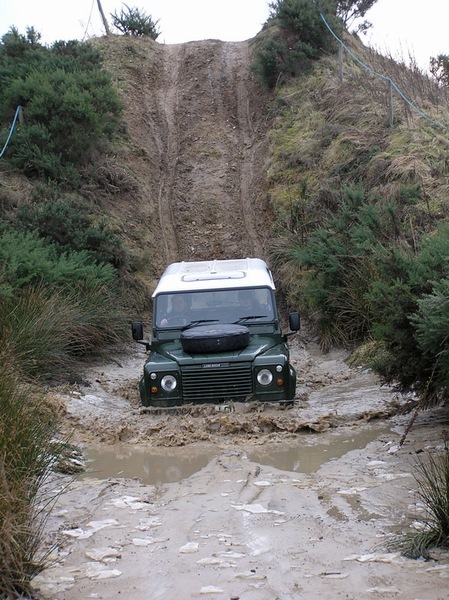 Allout Adventures specialises in events for Corporate Days, Team Building, Evening Events, Hen Parties, Stag Parties, Birthday Parties, Family Fun Days and any Group in general. No matter the reason for your event, our team are trained to the highest standard to give you all a fun-filled day to remember. 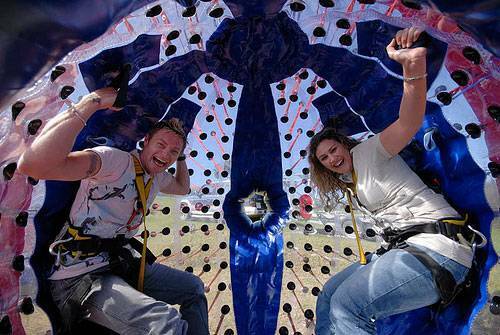 We specialise in a large variety of activities to suit everyone's taste and budget. Building effective, high performing teams! Effective teams have certain distinguishing characteristics in the way they work together and interact. Whether the team is well established or newly formed, these characteristics can make the difference when it matters most. Combining facilitative indoor learning with experiential outdoor learning is an excellent method of developing these characteristics. Our facilitators are specialists in development with a range of experiences in emotional intelligence, coaching, learning & development, psychology and both team and leadership development.